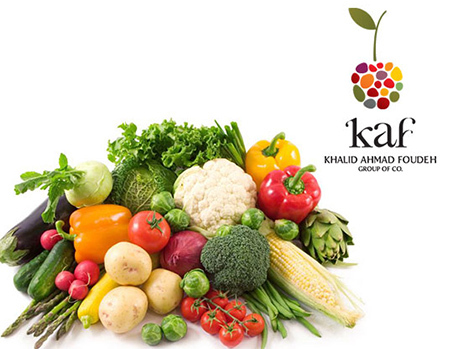 KAF is the UAE’s leading wholesaler and retailer of fruits and vegetables. With more than 600 professionals operating from 38 branches across the UAE and selling more than 1,200 different fruits and vegetables sourced from 100 global growers and suppliers. In addition to fruits and vegetables, KAF expanded its business with “KAF for Kitchens” where the company offers processed fruits and juices as well as corporate and social catering services. KAF is solidly leading its sector in the UAE and the group was looking to expand its business by entering the world of e-commerce for both B2B and B2C clients. The group was also looking to have its own mobile commerce solution through native mobile iOS and Android Applications. Erabia’s extensive experience in web and mobile commerce and its excellent record in both B2C and B2B made it the natural choice for KAF and we both partnered up to ensure the project’s success.